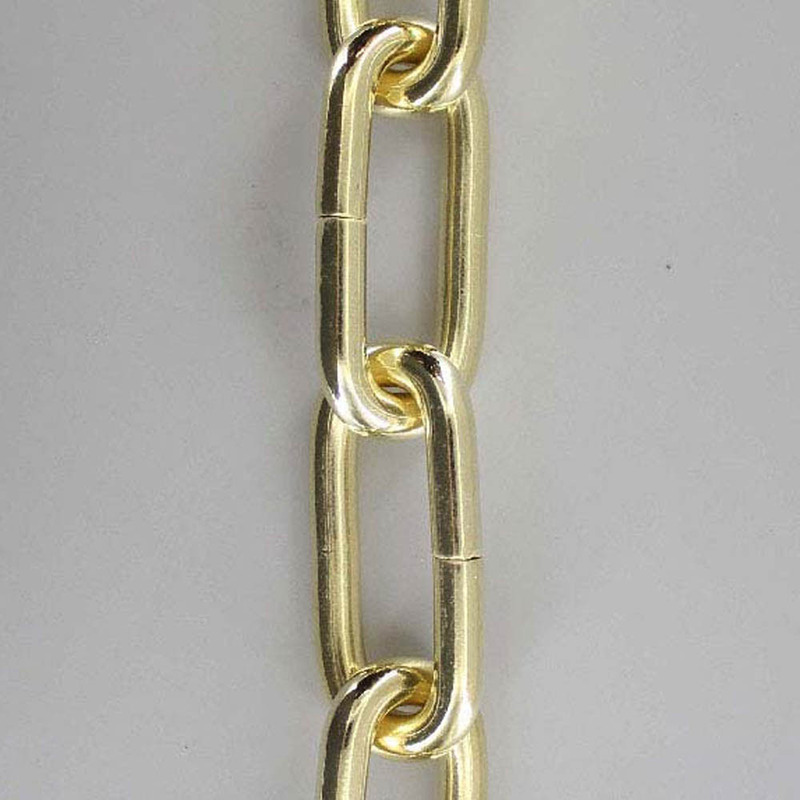 A chain is a serial assembly of connected pieces, called links, typically made of metal like brass or steel, with an overall character similar to that of a rope in that it is flexible and curved in compression but linear, rigid, and load-bearing in tension. 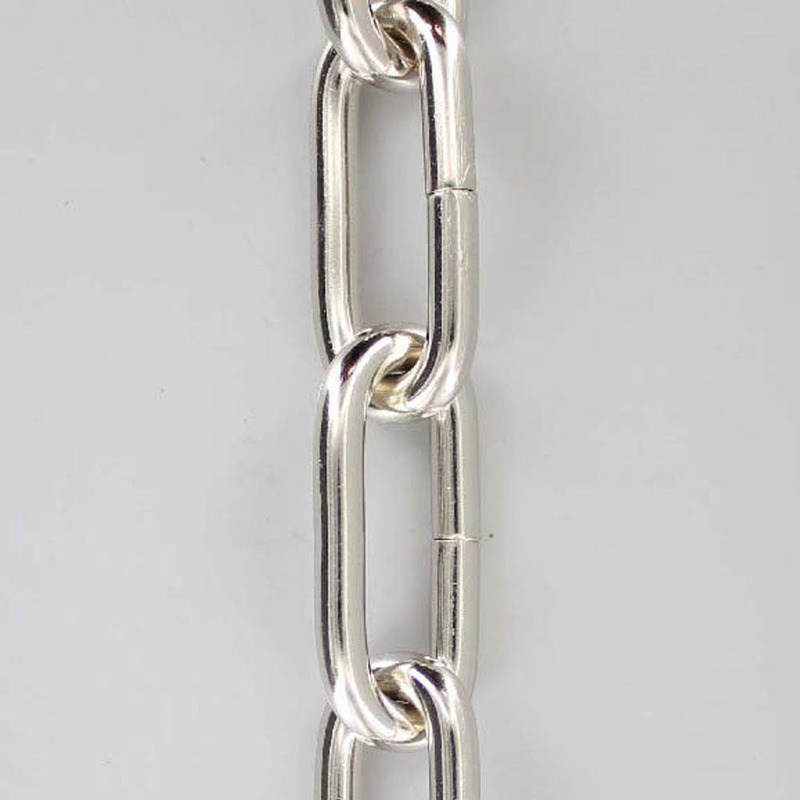 A chain may consist of two or more links. When it comes to lighting parts, chains are usually used to either suspend lighting fixtures like chandeliers or as chords that can be pulled to control things like fans, lamps, or blinds. 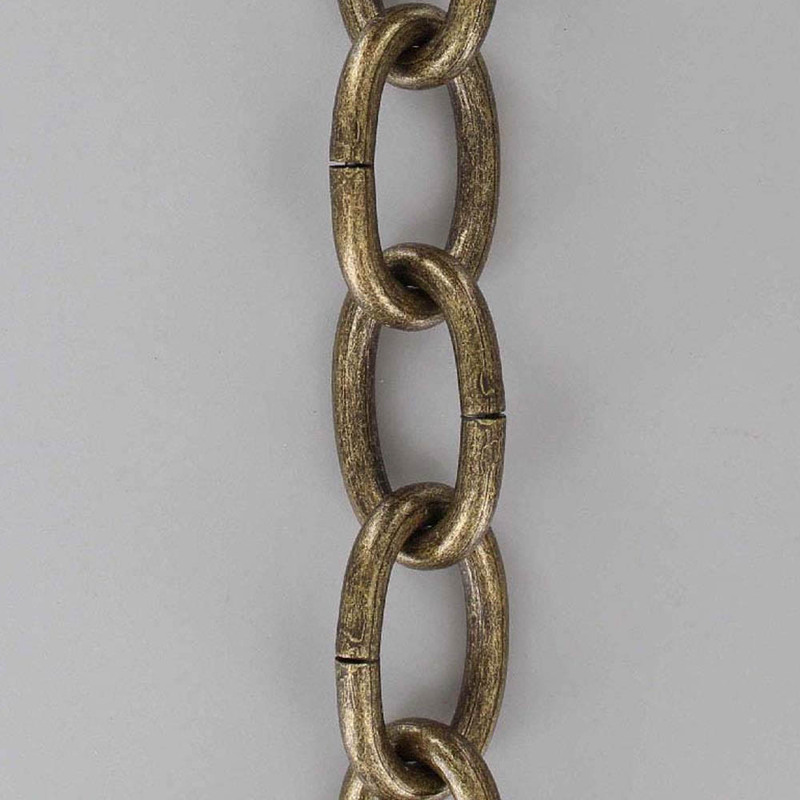 The word meaning “chain” can be traced back to an ancient word in the Indo-European language family. 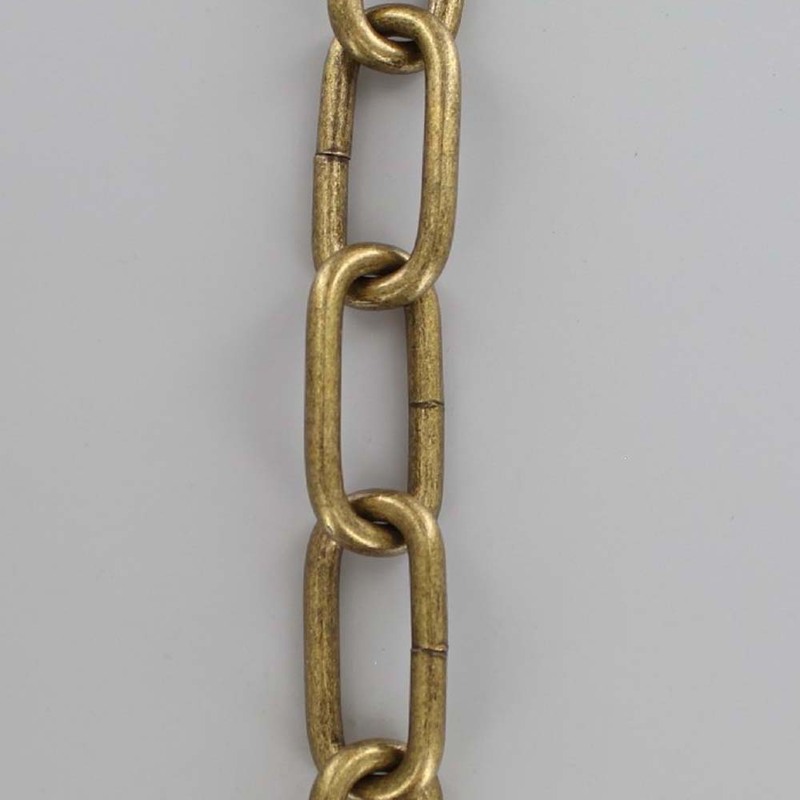 As early as 225 BC, chain was used to draw a bucket of water up from a well. 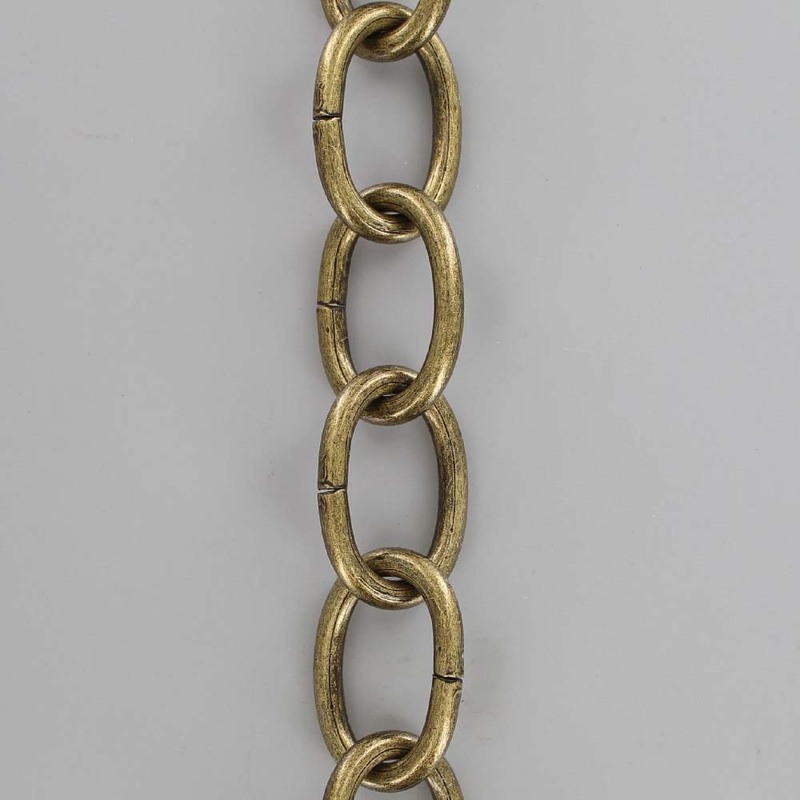 This very early bucket chain was composed of connected metal rings. 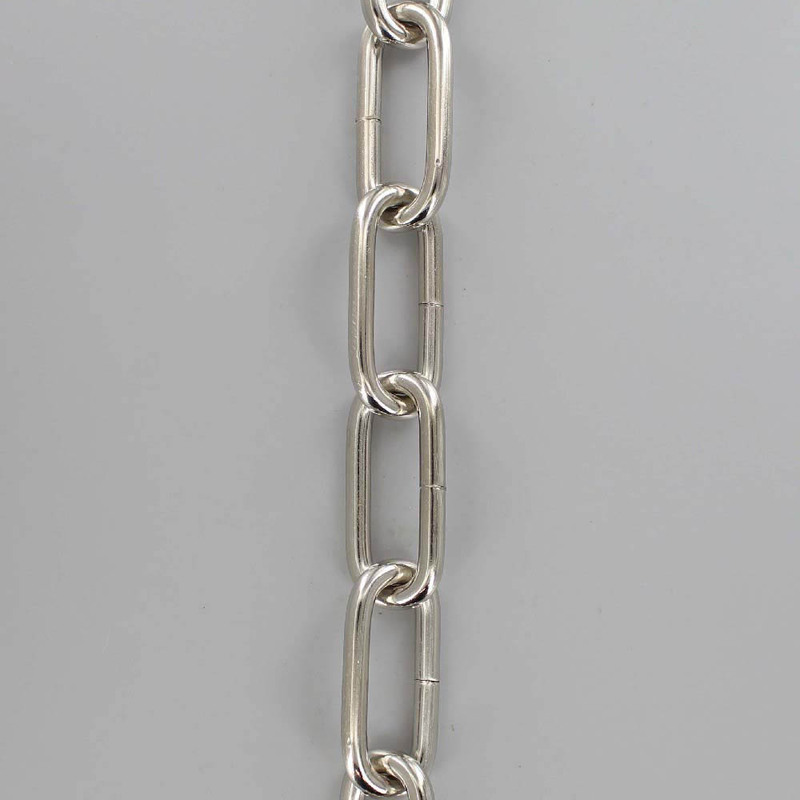 In the 16th century, Leonardo da Vinci made sketches of what appears to be the first steel chain. 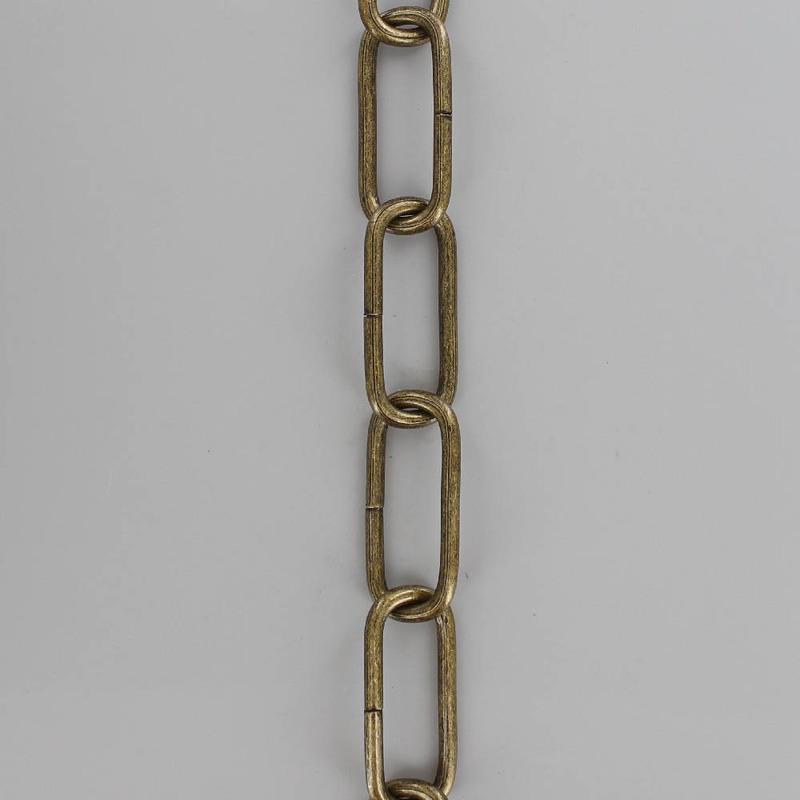 These chains were probably designed to transmit pulling, not wrapping, power because they consist only of plates and pins and have metal fittings. However, da Vinci’s sketch does show a roller bearing. It took some time for the technology to catch up with the concept. 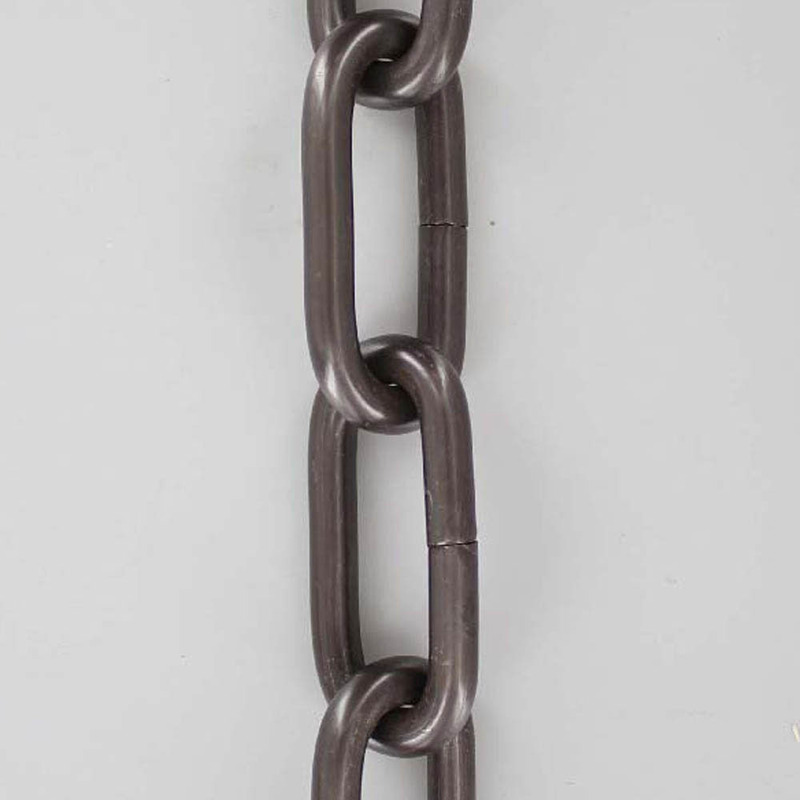 Problems in the manufacturing and processing of steel prevented chain growth until the 19th century, when new technologies made steel chain and bearings realities. 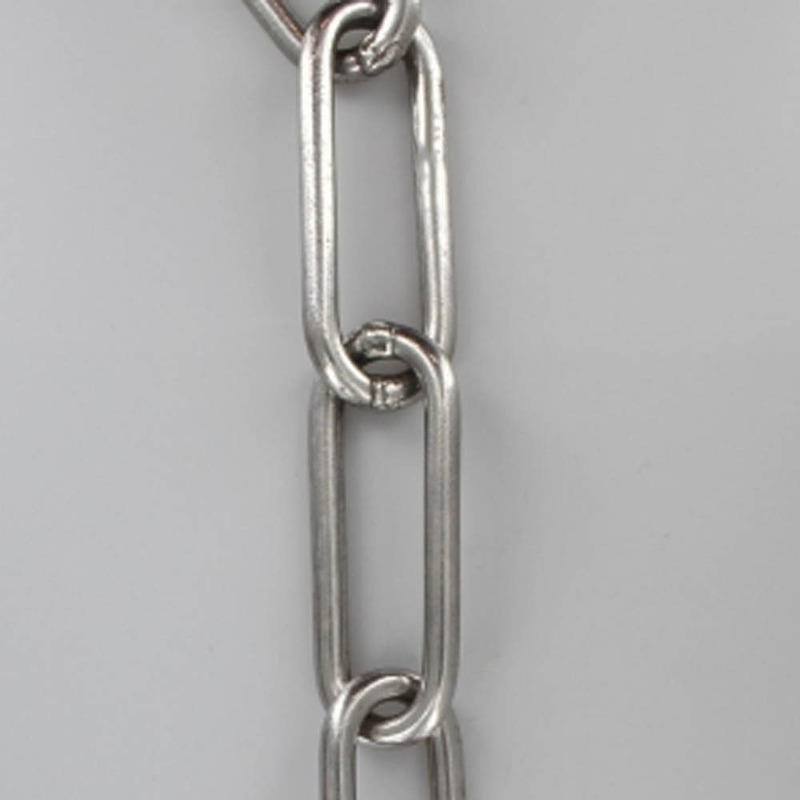 In the 1800s, a Frenchman named Gull obtained a patent for a similar chain for use on a bicycle. 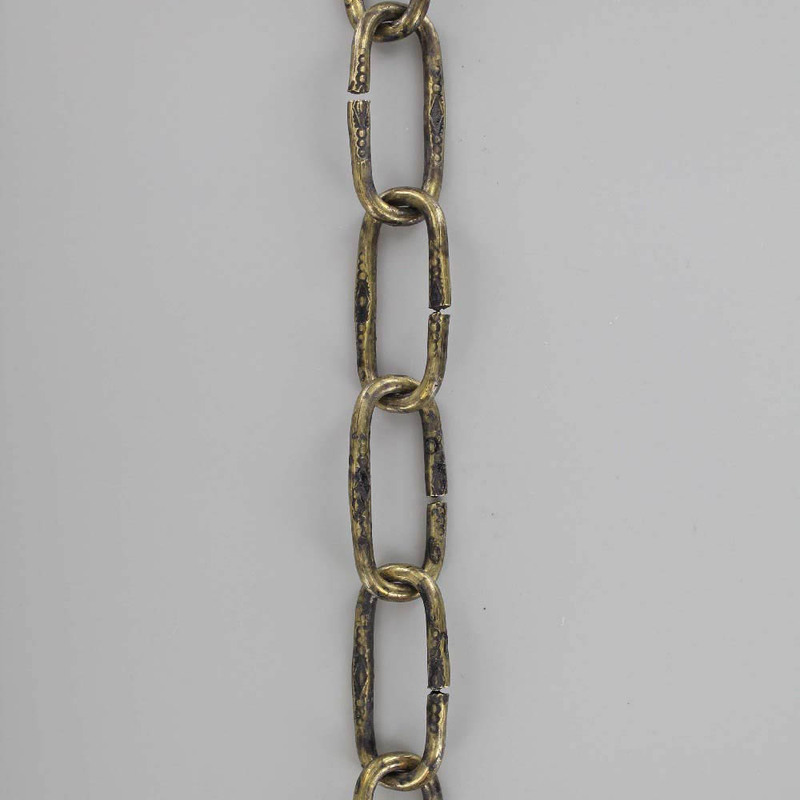 This chain, called “Gull Chain,” is still used today in hanging applications. 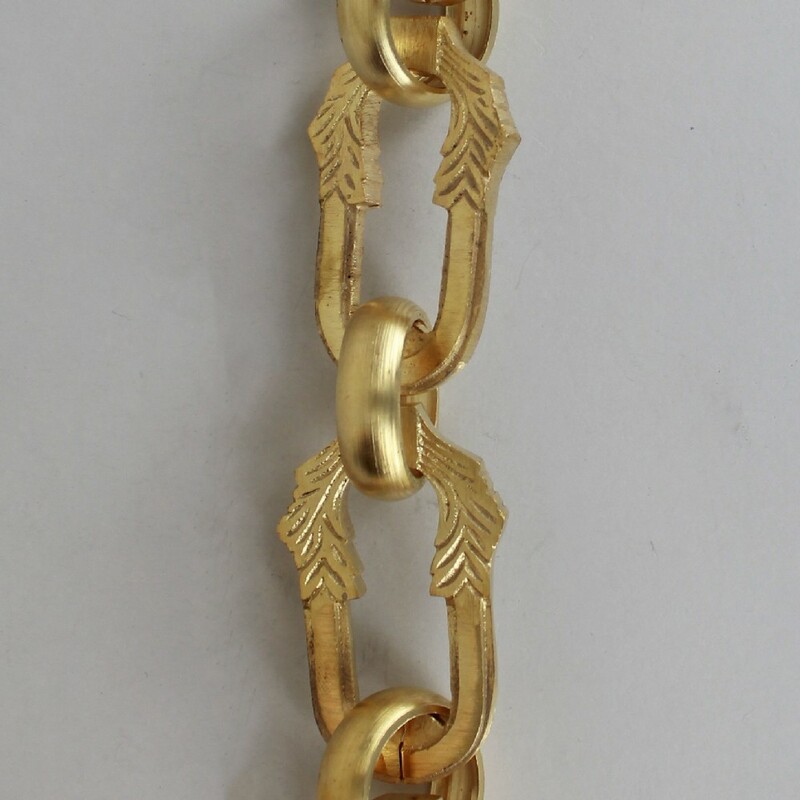 When molded chain was invented in the 19th century, things began to move rather quickly. 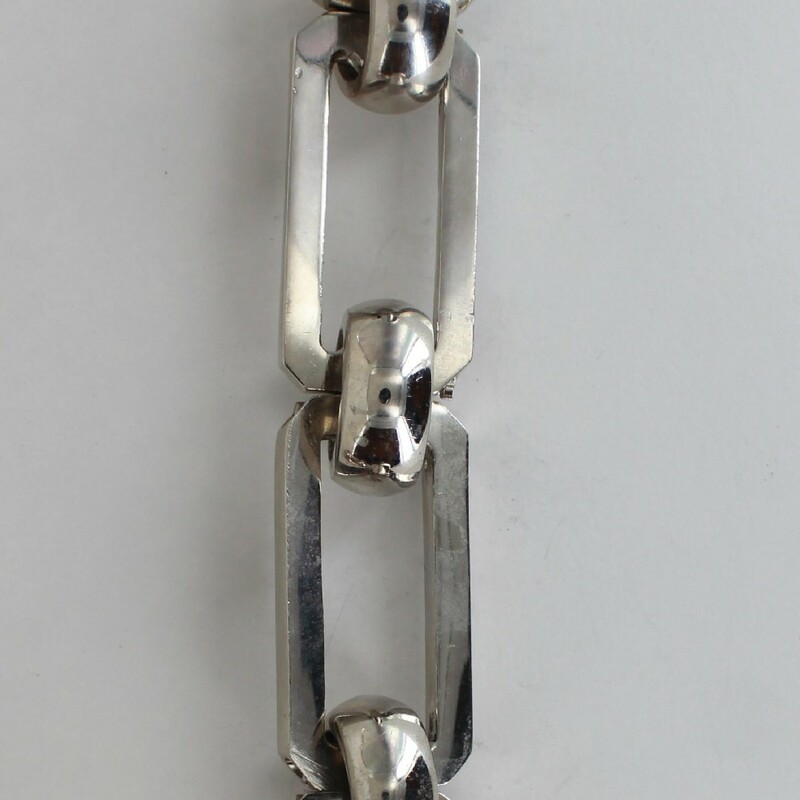 First came the cast detachable chain, which is composed of identical cast links. 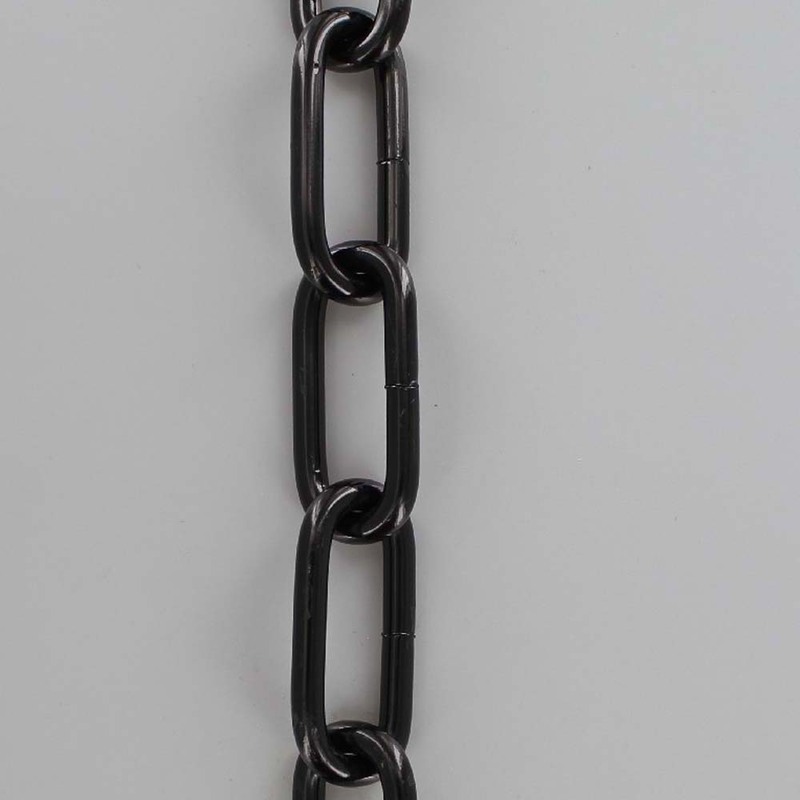 Next, the pintle chain, which has a separate pin, appeared. 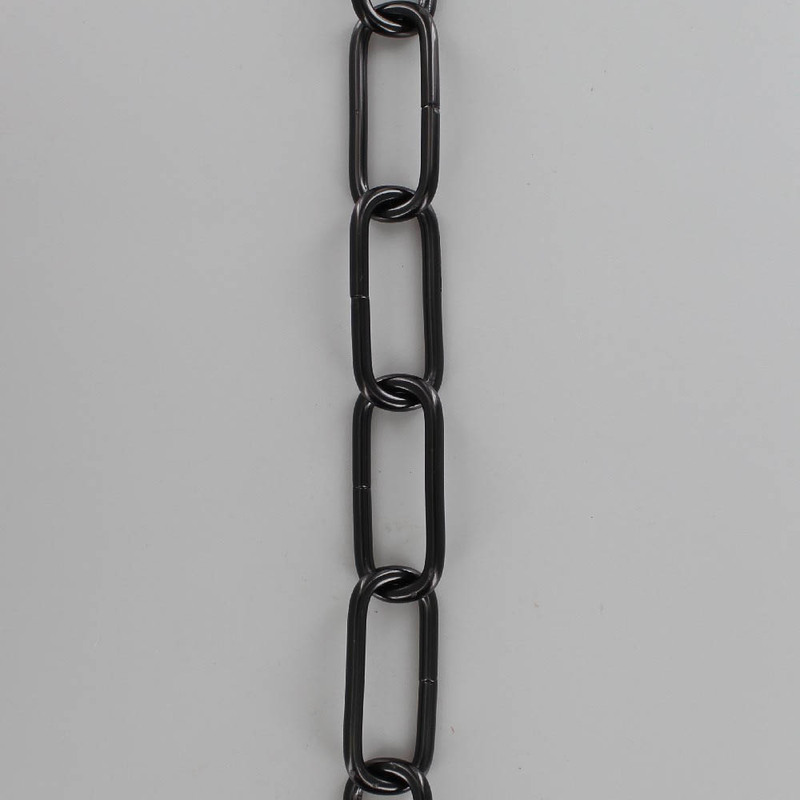 The cast detachable chain and the pintle chain have been improved over the years, and they are still in use today in some special applications. They are being replaced—gradually—by large pitch steel conveyor chain. 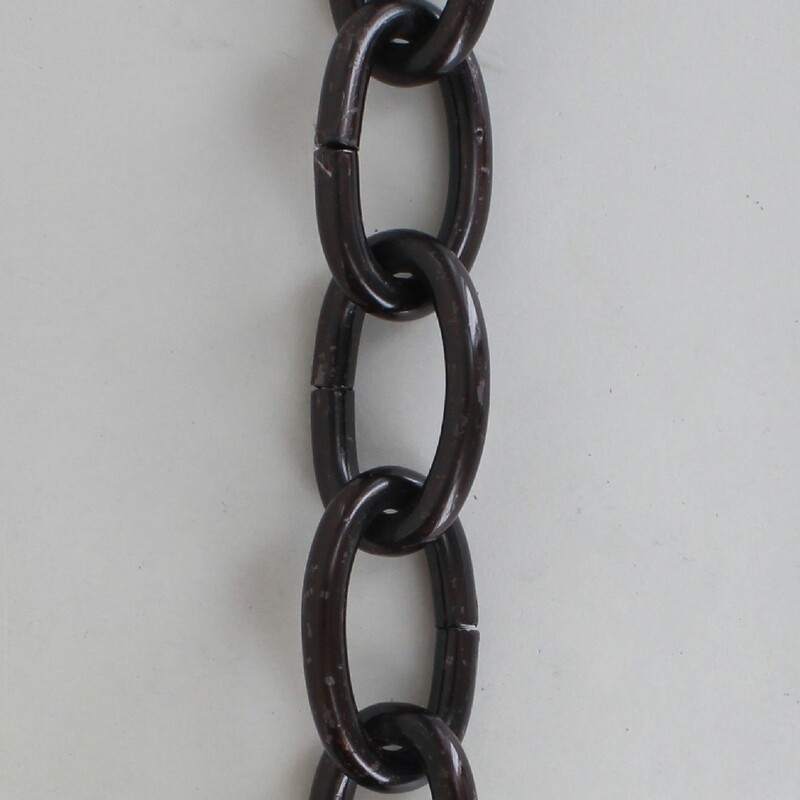 In the late 1800s, a new development—the bushing—revolutionized steel chain. 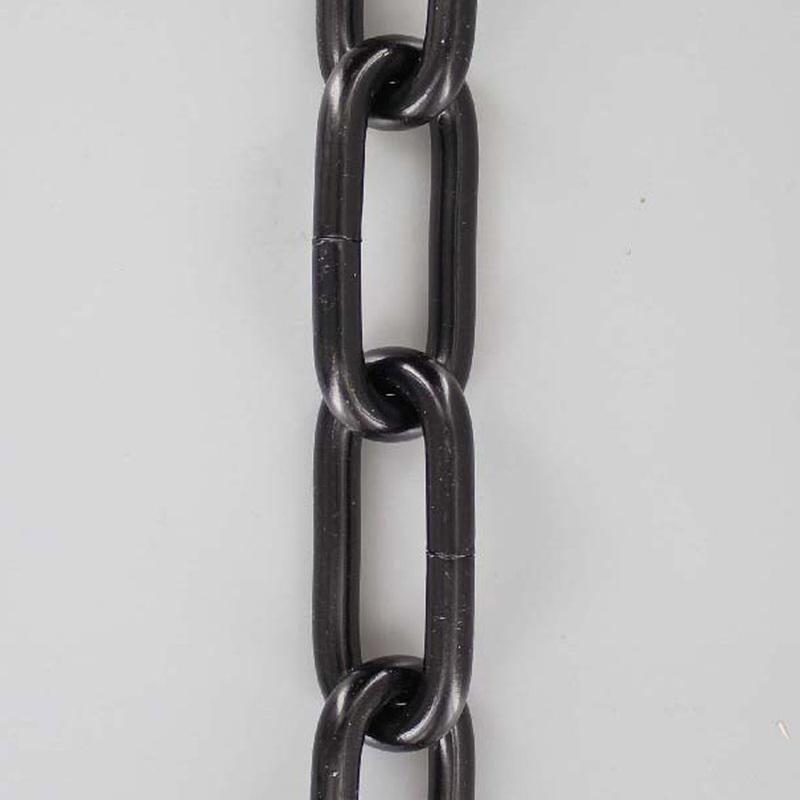 Chains with bushings had greater wear resistance than Gull Chain because the bushing acted as a bearing, protecting the pin. At this point, the chain story moves into super-speed. Steel bushing chain was used on bicycles, in the rear-wheel drive of early automobiles, and, in 1903, as the propeller drive in the Wright brothers’ airplane. 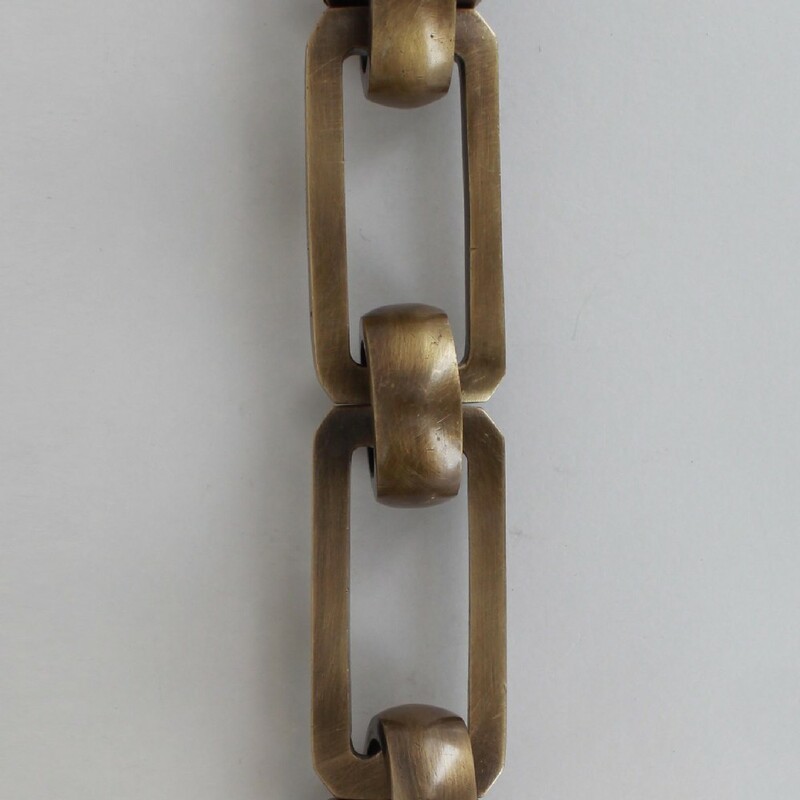 Grand Brass Lamp Parts, LLC has lamp chain in a variety of sizes and finishes to suit your needs in all types of lighting. 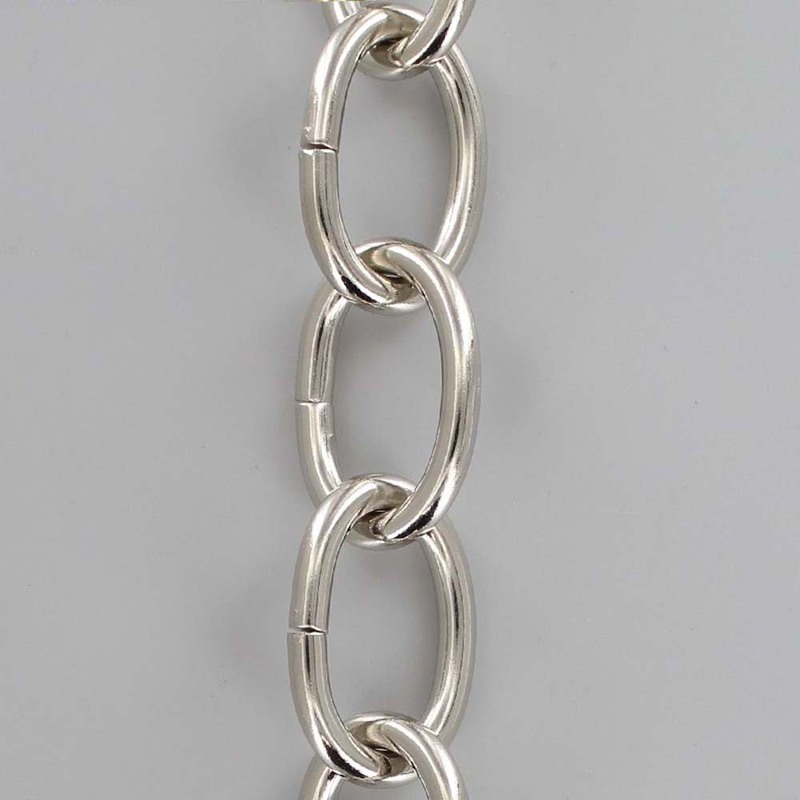 At some point in your lighting projects, the chances are, you’re going to need a metal link chain of some sort. Whether securing Chandeliers, or Pendant Lighting Fixtures, it’s important to find the right type of chain for the job at hand. 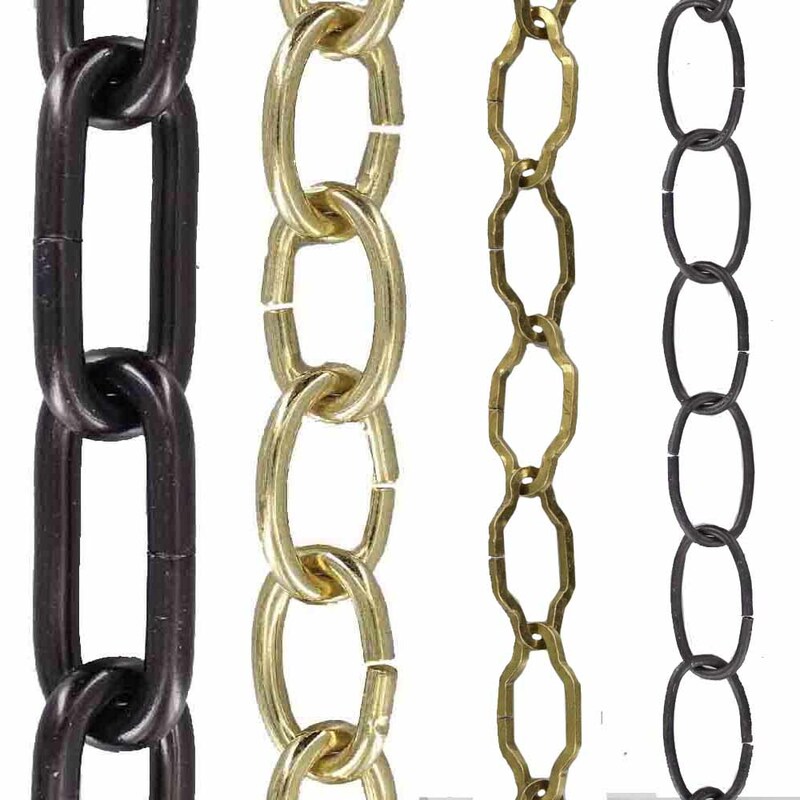 Chains can be constructed from a wide variety of different metals; however, the two types most commonly used today include brass chains and steel chains. Here we consider each in turn, highlighting their individual properties and advantages, and noting their most typical uses. 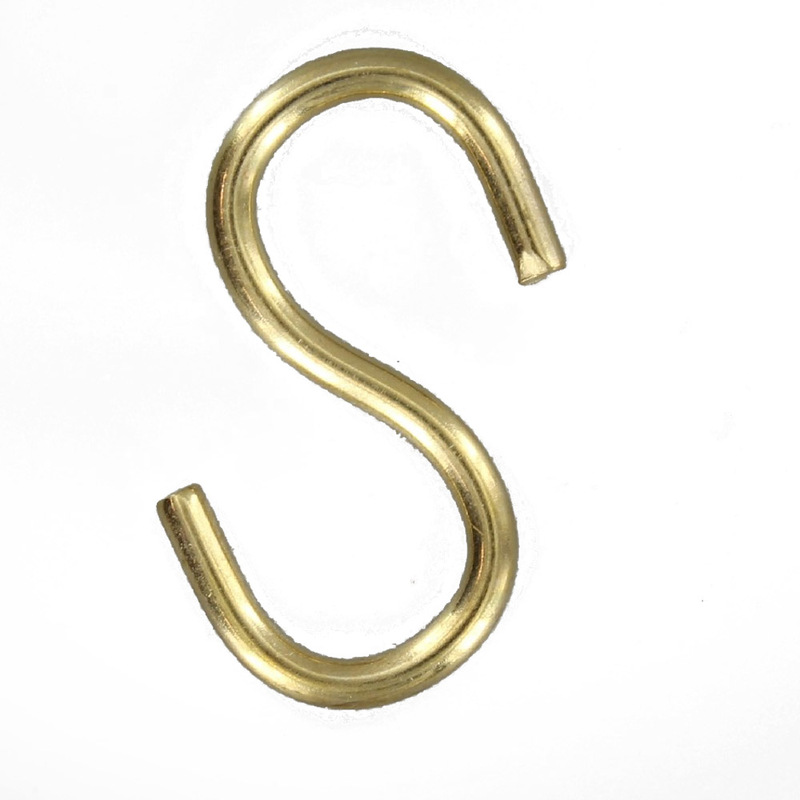 Brass itself is an alloy metal, created by combining copper and zinc, and it has a number of properties that make it perfect for use in metal chains. For example, it is durable, strong, and long-lasting. 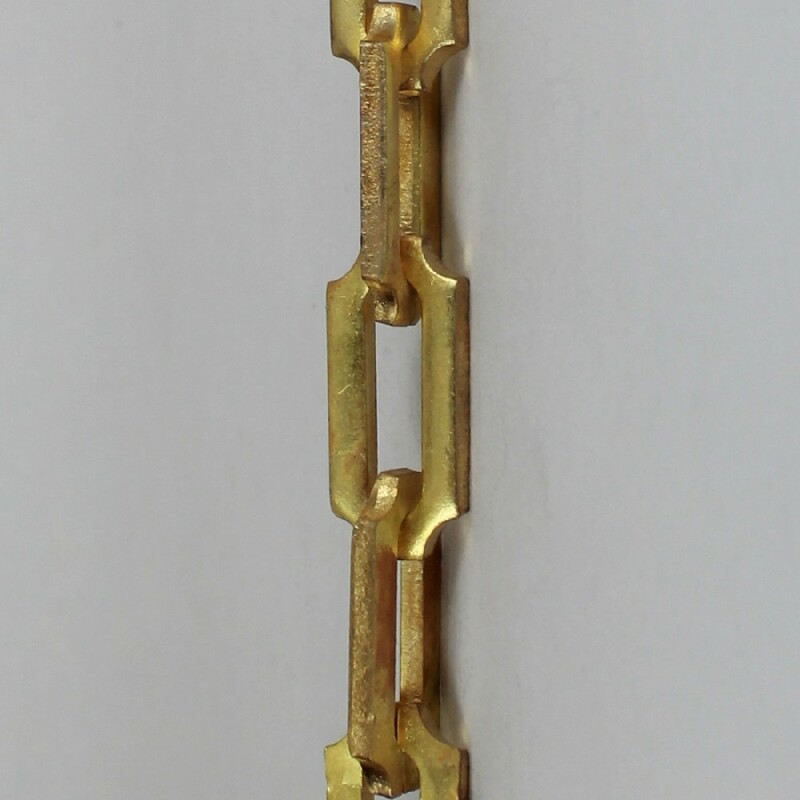 Thanks to its anti-corrosive nature, it will not rust or corrode and brass oval chains are guaranteed to last in damp and wet conditions. This is why they are often used in bathrooms and kitchens, as a bath or sink plug chain. 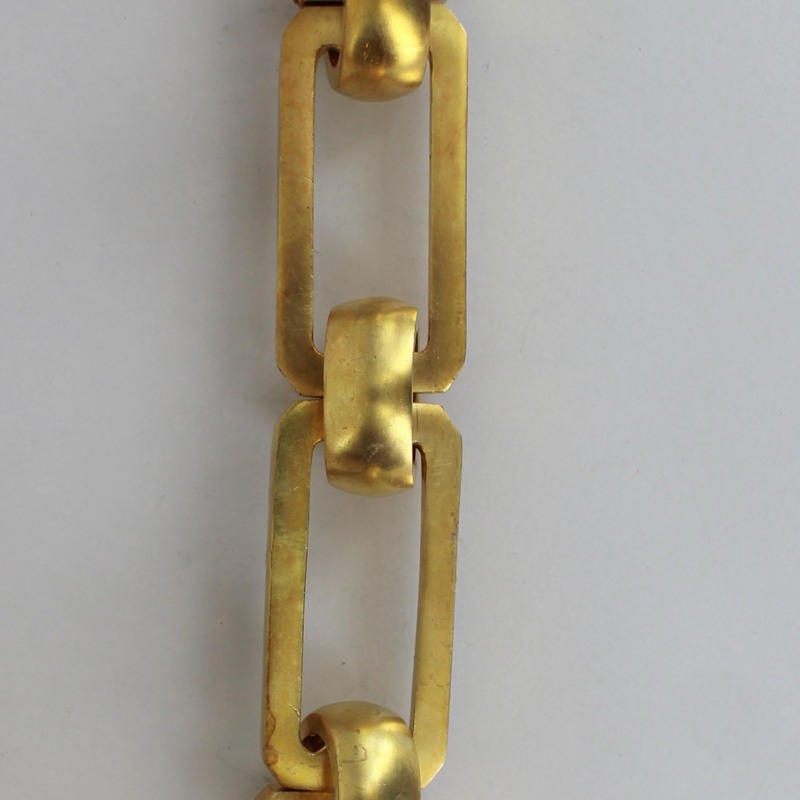 Quite simply, a brass oval chain is a series of oval-shaped metal links that are constructed from solid brass and they are often used in conjunction with brass chain fittings. 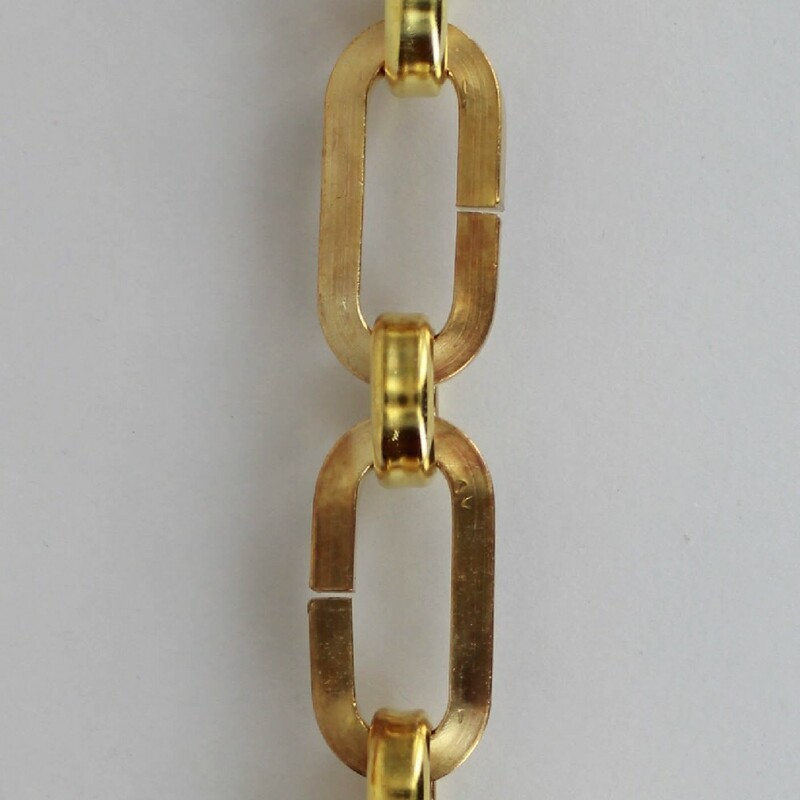 It’s fair to say, the applications for brass oval chains are very far-reaching and they are typically available in both polished and chromed brass oval chains. 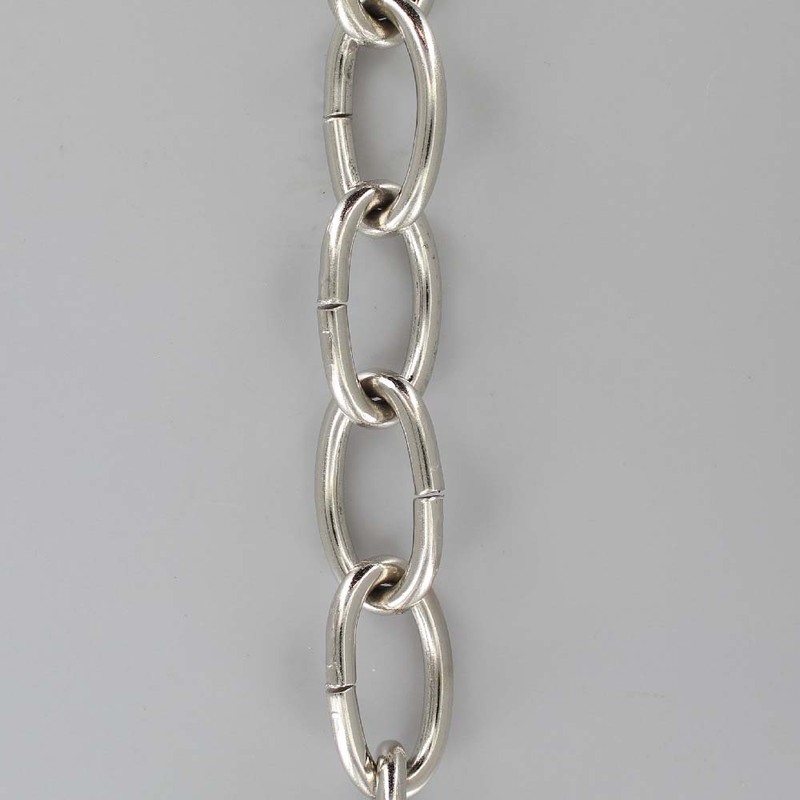 These chains come in a range of thicknesses, and are a fantastic choice for many different day-to-day uses. 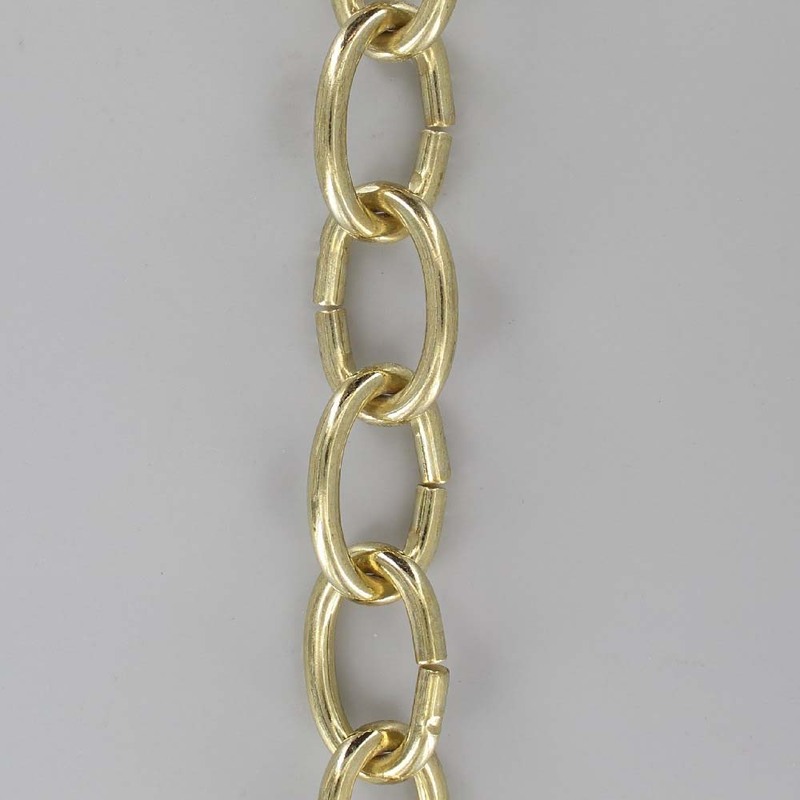 Brass oval chains are also well-known for their pleasant shiny appearance, whether that be in silver or gold with a chromed or polished finish. They are often used for interior design projects and decorative purposes – such as hanging a new picture frame in the living room or putting up a basket of flowers at the side of the front door – and they can sometimes be seen in shop windows, adding a modern and edgy touch to the product display and attracting the attention of passers-by. 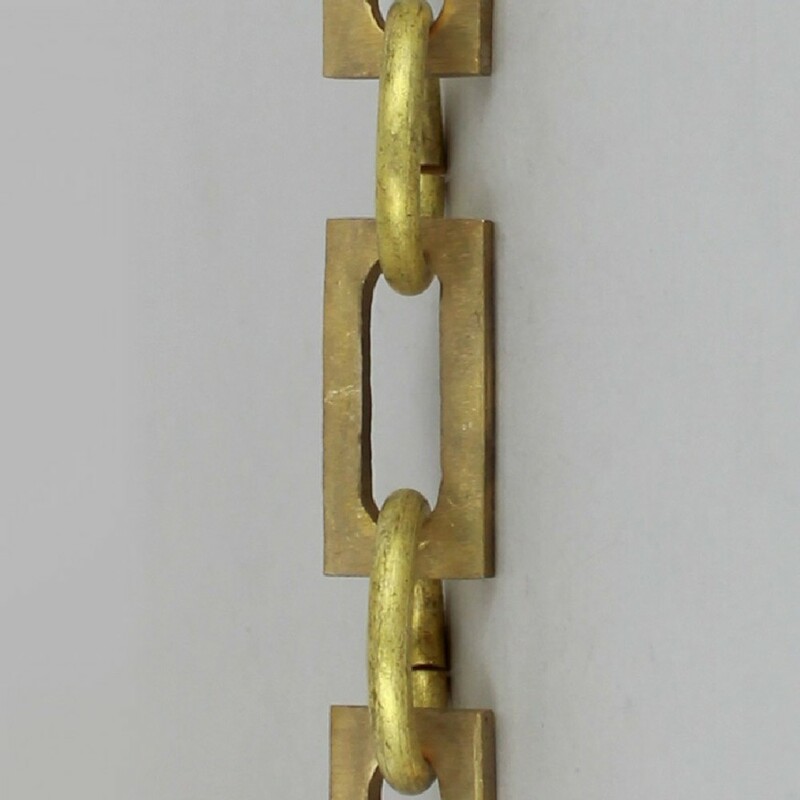 Ideal for Brass Chandeliers as well as Metal Wall Decor. 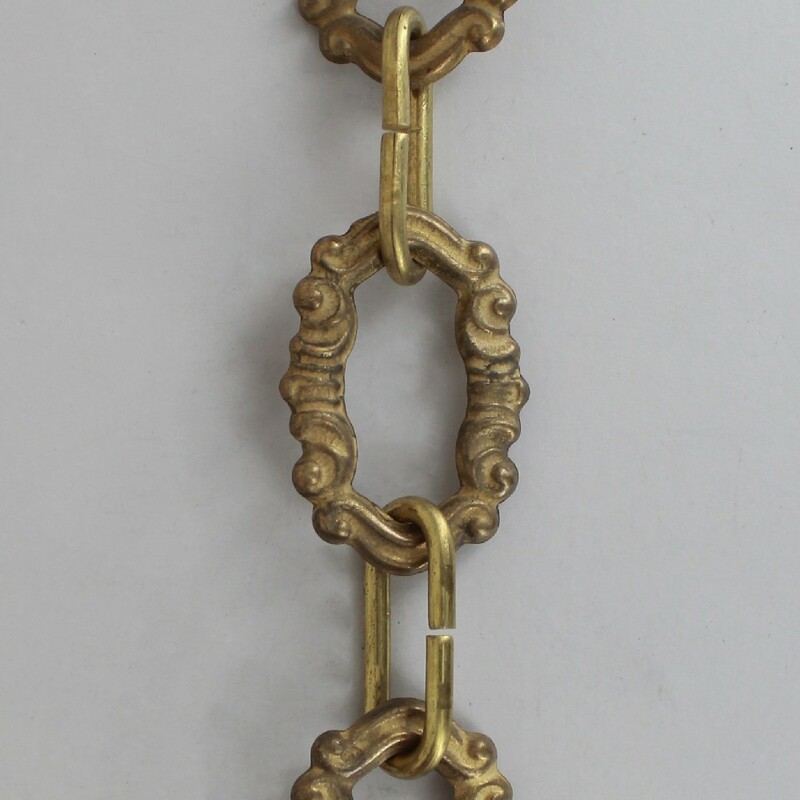 For more styles be sure to check out Grand Brass Lamp Parts Decorative Brass Chain section online. 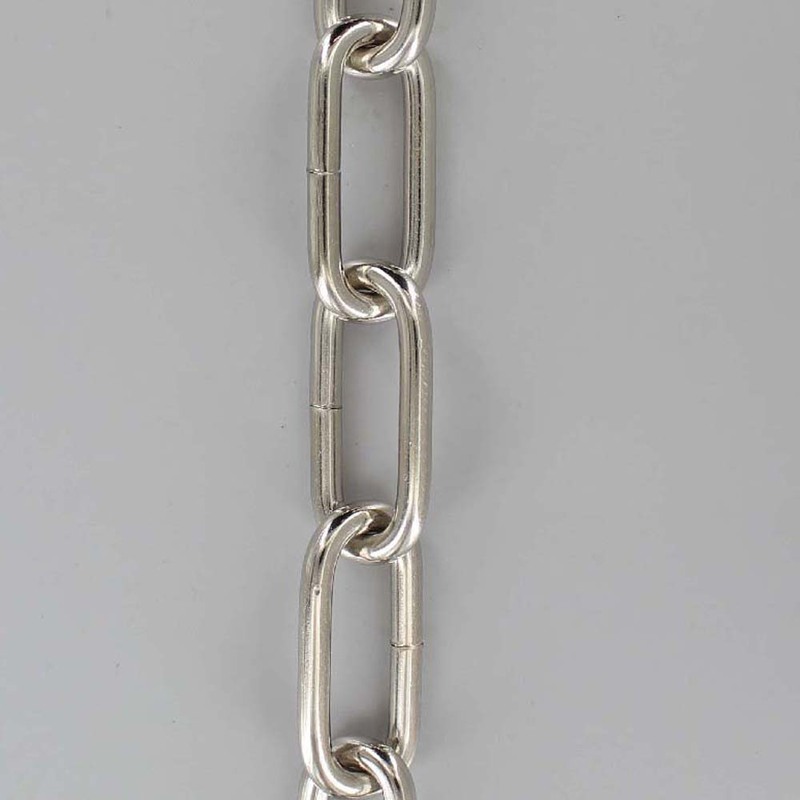 Everybody’s heard of steel; it is one of those well-known metals that is used for a vast range of day-to-day applications – but the question is, do you know the difference between stainless steel and the mild steel, typically used to create metal link chains? Mild steel is predominantly constructed from iron and, unlike stainless steel, it is not classified as an alloy metal. It also has a relatively low amount of carbon and, as a result, it is much more ductile and less brittle than stainless steel. It can, therefore, be used to create a variety of products, it demonstrates great strength and – with the addition of a protective anti-corrosive coating – it is reliable enough for repeated outdoor use. 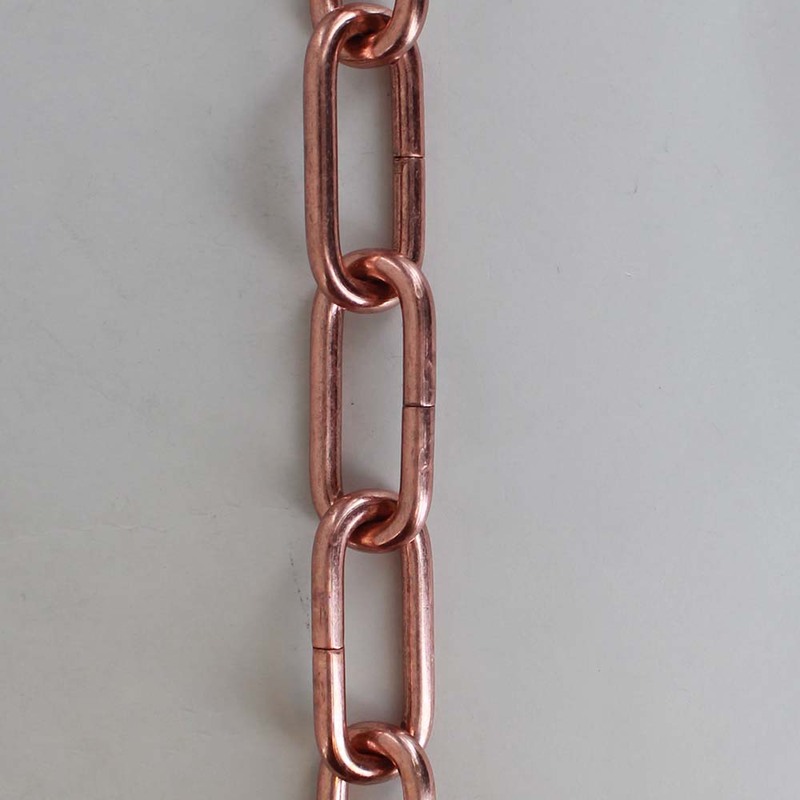 A jack chain is a type of chain made of thin wire, with figure-eight-shaped links, and loops at right angles to each other. 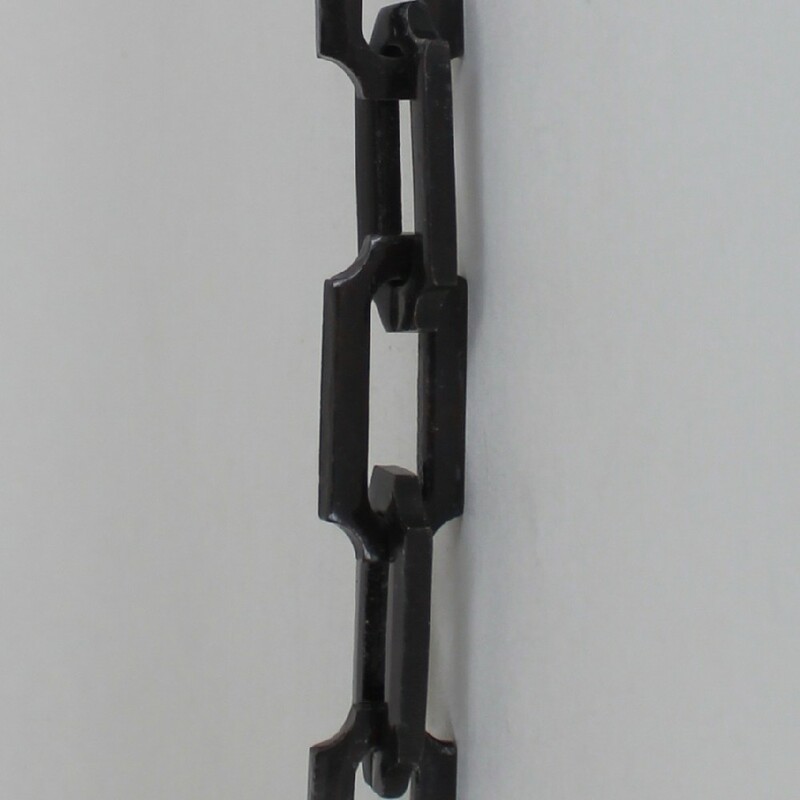 Jack chains are often used to suspend lighting fixtures, for decorative purposes, or as part of a cable lock. 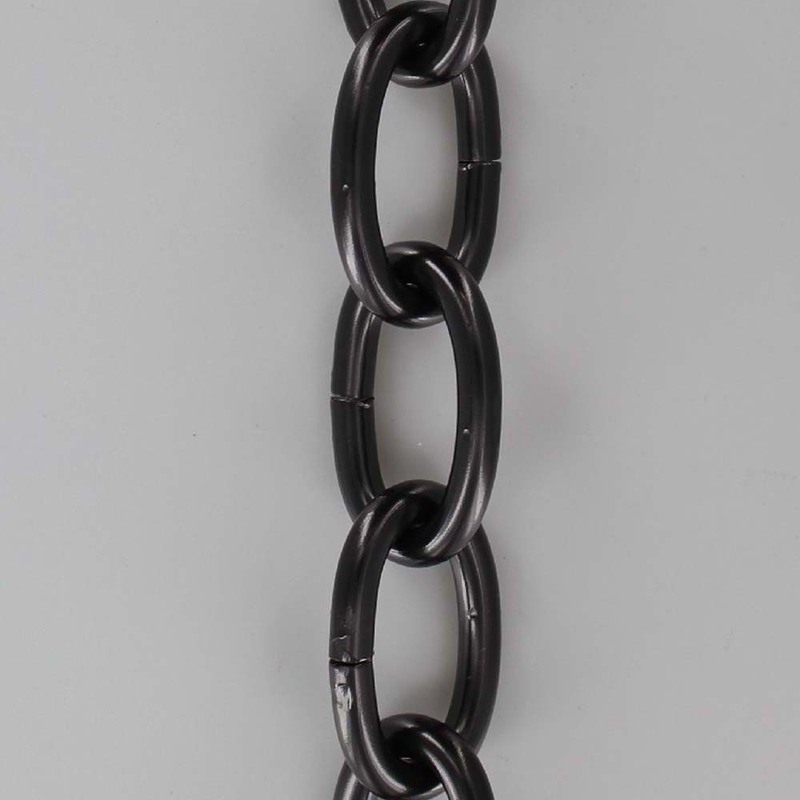 Jack Chain is the lightest and smallest of regular commercial chain formed from wire. It is used in applications where high strength is not required. 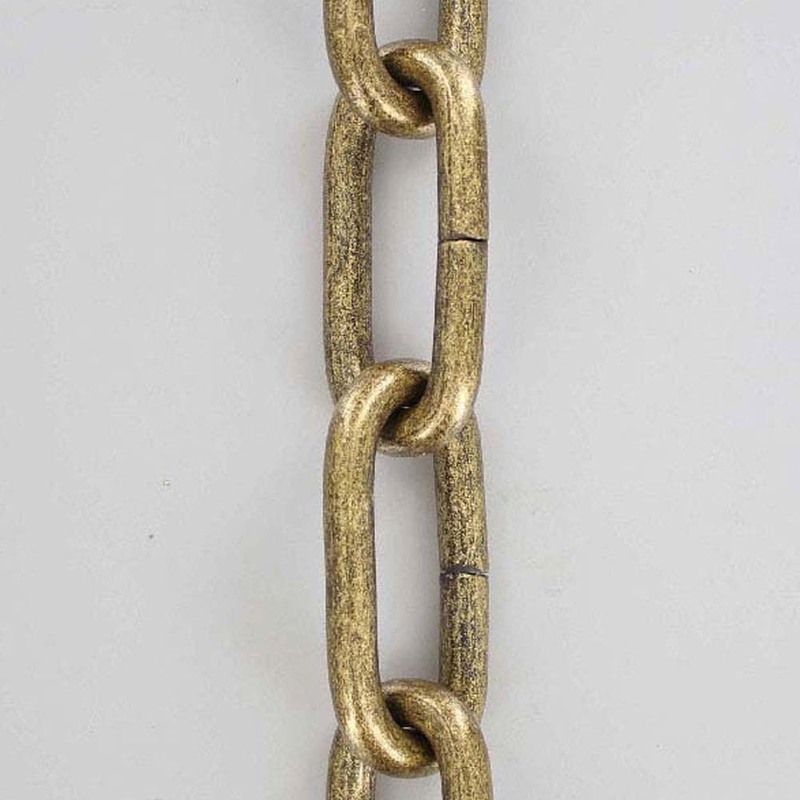 A type of chain consisting of small sheet metal balls connected via short lengths of wire. The balls are hollow and have two small antipodal holes. These holes accept a short length of wire deformed on the end like a rivet so that the end is bound inside the ball. The wire is then connected to another ball using the same method. Many of the balls and wires are joined together to form a chain. 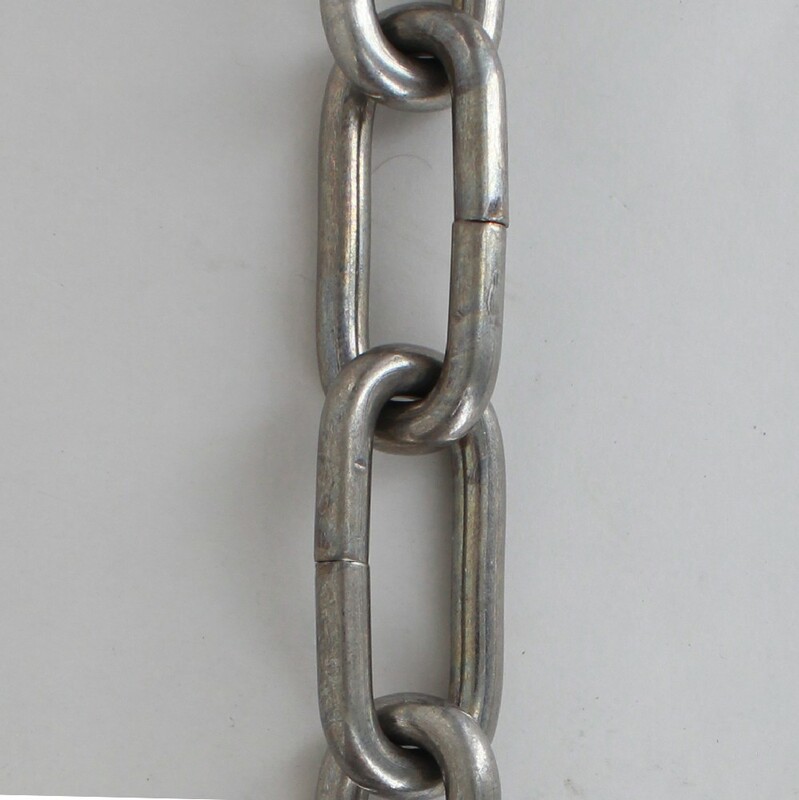 Because of the connection method, the chain can swivel on itself unrestricted, which helps prevent kinking, however, the chain has a relatively low strength. 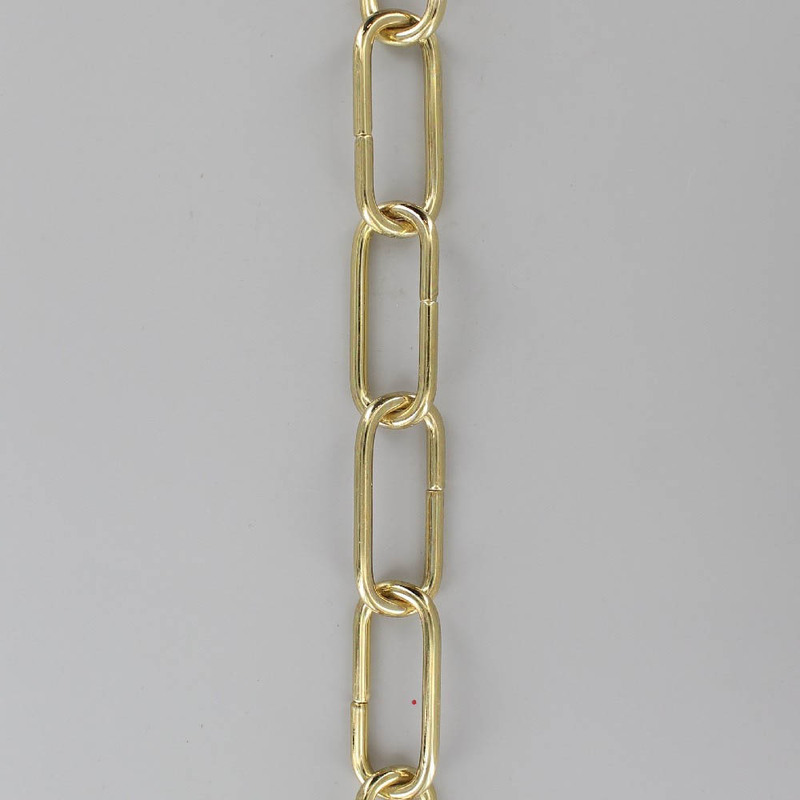 Ball chains are also sometimes known as snake link. 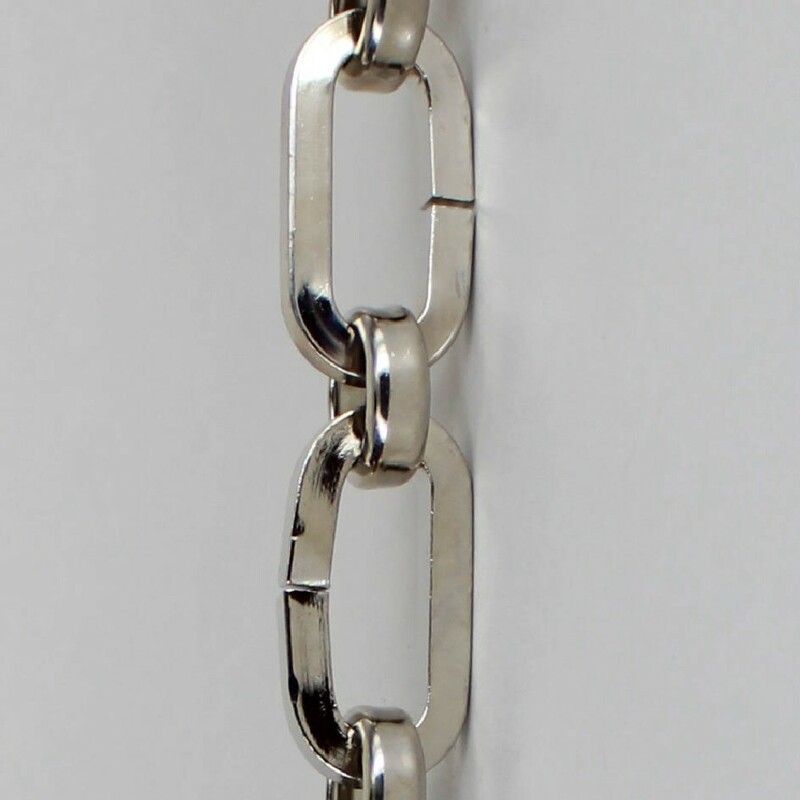 The most common ball chain accessories are connectors. Each end of a connector is able to surround a ball at the end of a chain and snap over its wire connection, which holds it secure. 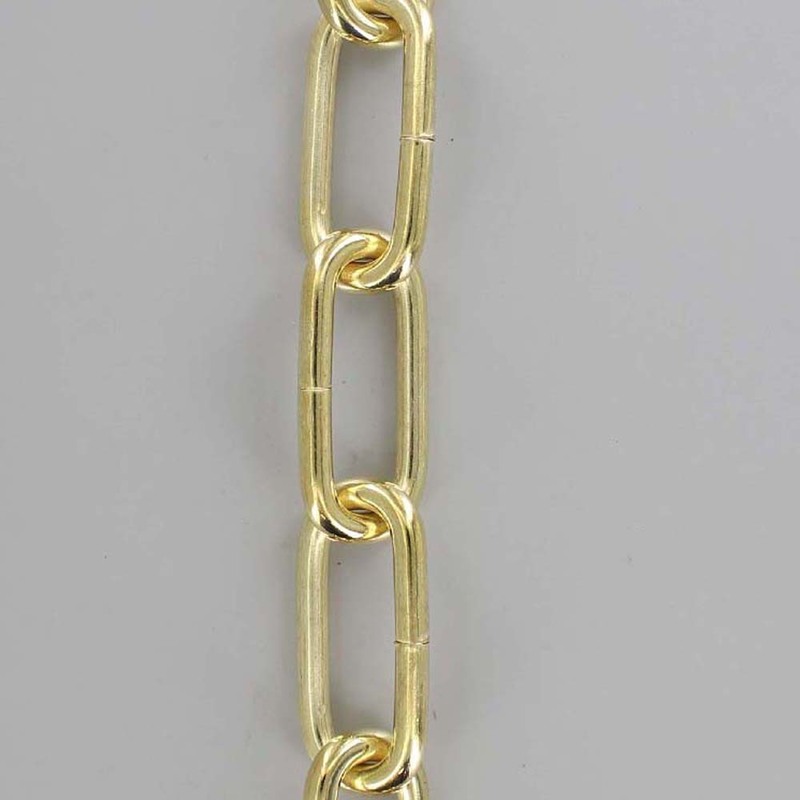 These can be used to connect two lengths of chain, or to connect the ends of the same chain to form a loop. The connectors require no tools to apply or remove and are reusable. 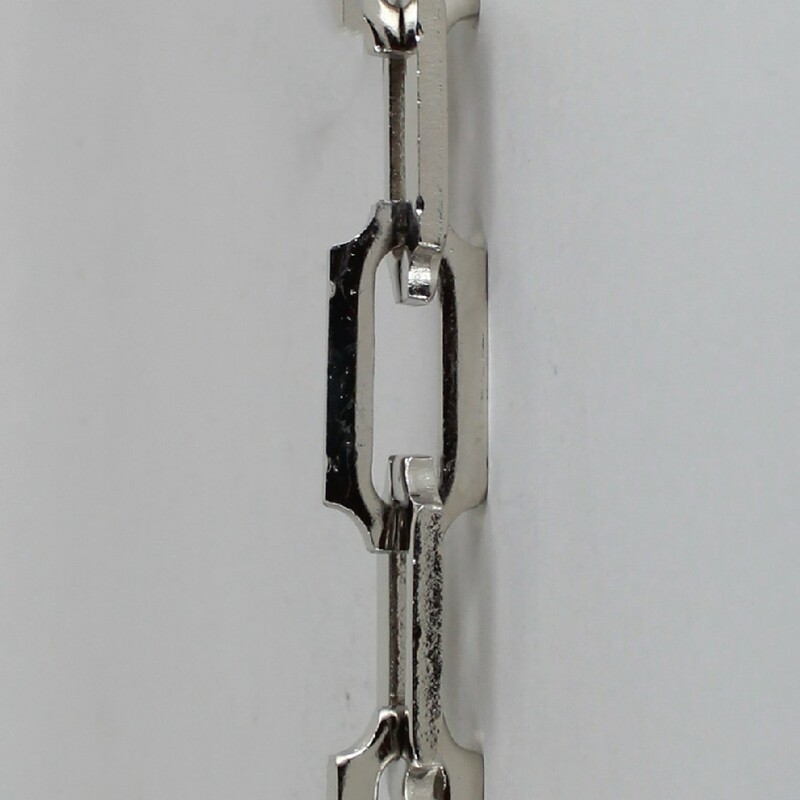 Other common accessories include other terminations similar to the connectors, but with a different connection on one end, such as a screw hole for semi-permanent affixing of a chain. Common uses of ball chain are for pull cords on light sockets, light fixtures and ceiling fans. 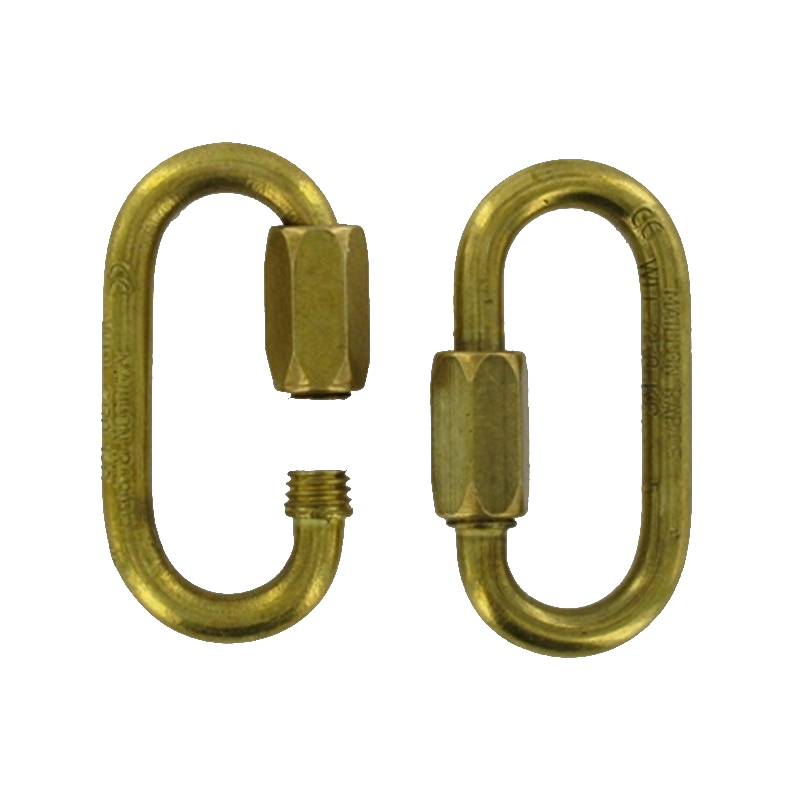 S hooks easily attach to ropes, chains, straps, and accessories for use in light lifting and rigging applications. 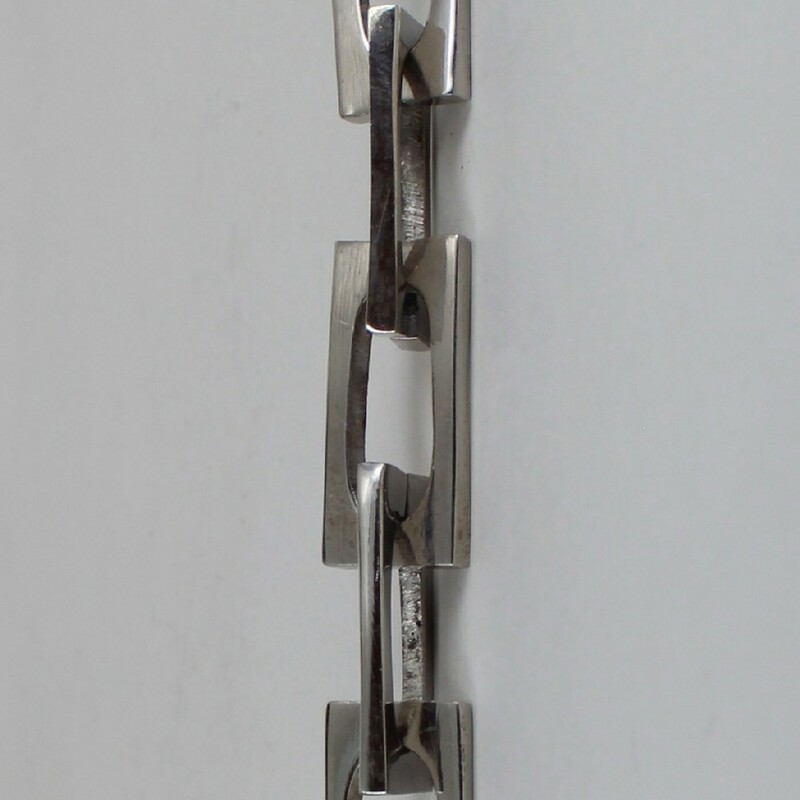 S-hooks are often used in combination with jack chain. 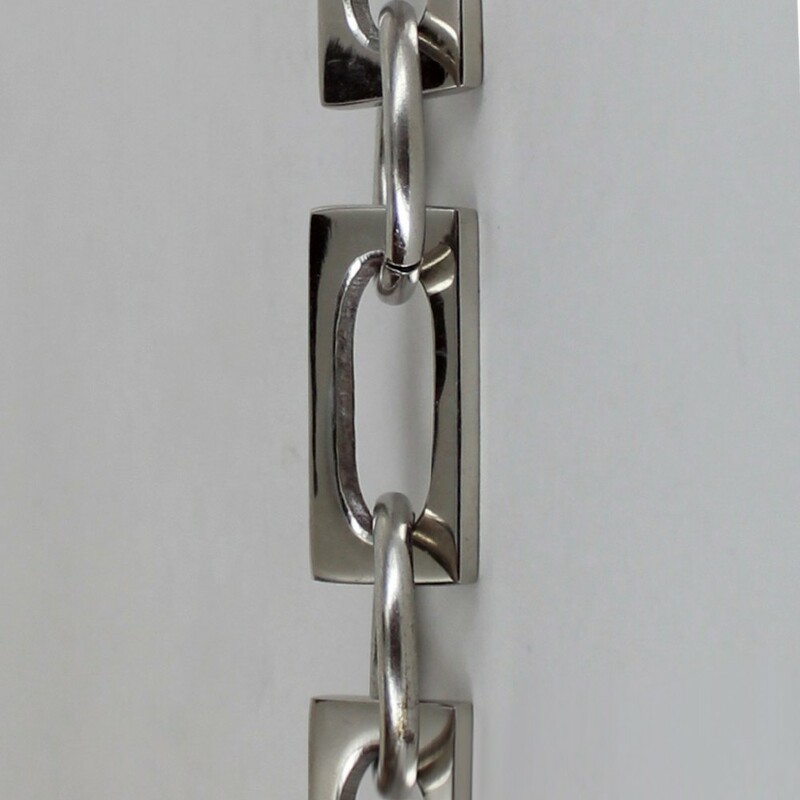 S-hooks are also ideal for connecting multiple sign panels, one above another and are well suited for long term and short term sign installations. 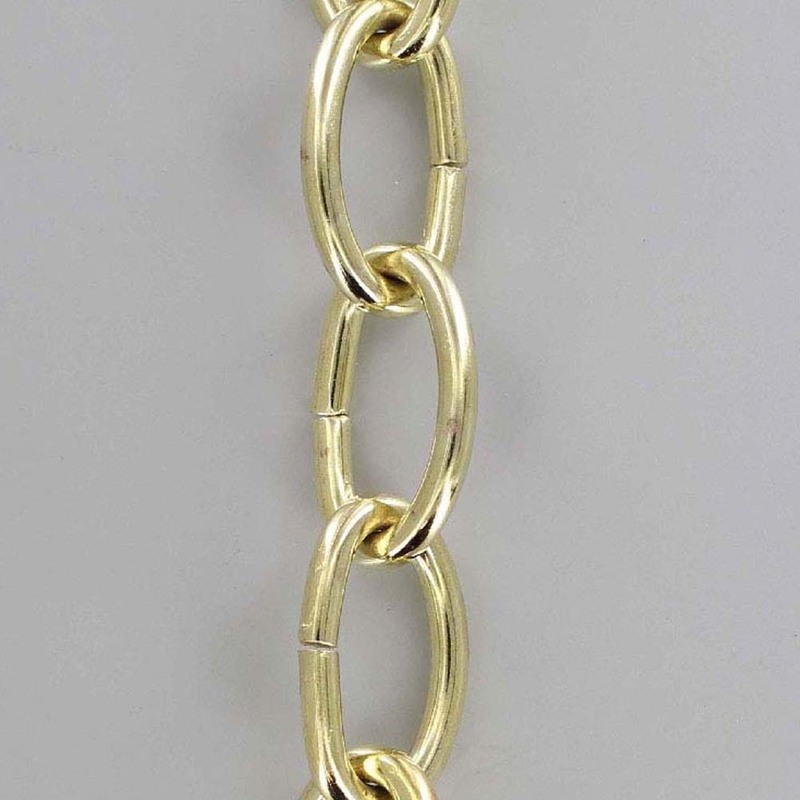 Of all of the chain companies, Grand Brass Lamp Parts, LLC has the most chain styles and sizes available. 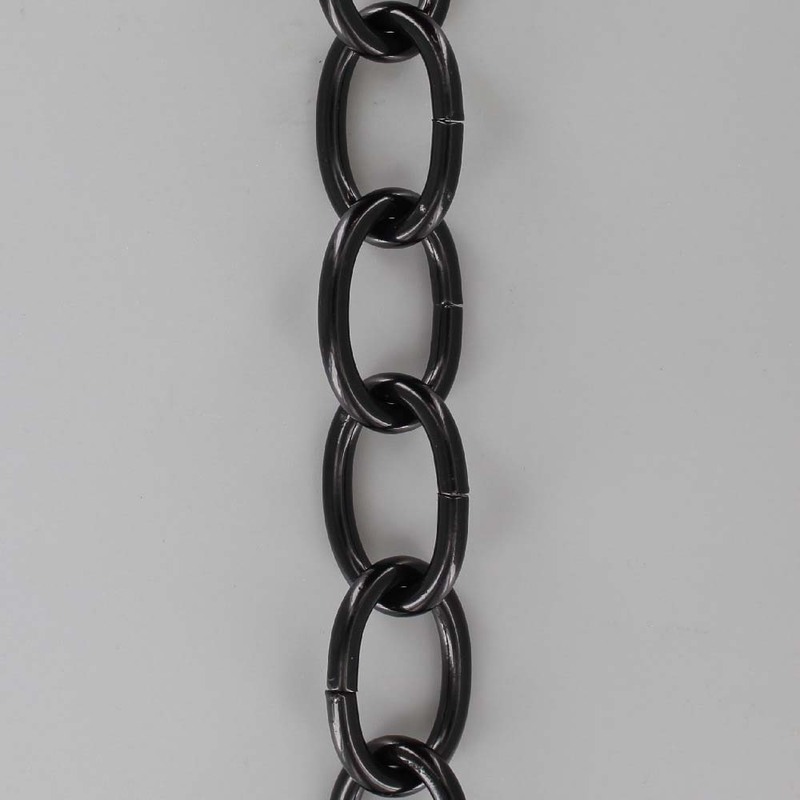 We guarantee that there is a lamp chain that will suit your needs. 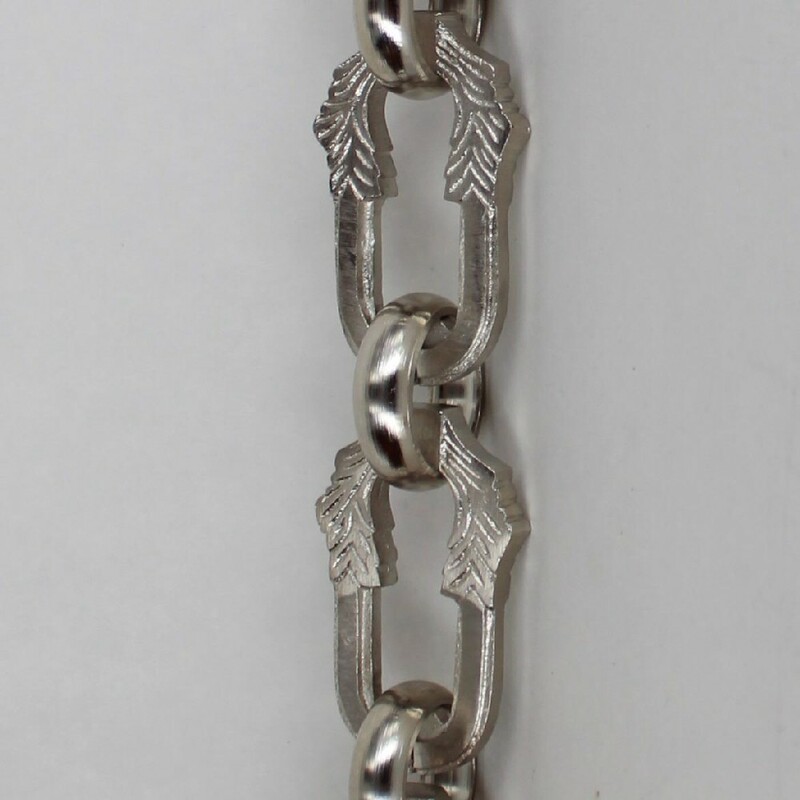 In order to figure out what chain you need, you first need to figure out what the chain will be used for. Once you figure out the application of the chain, then you will need to figure out what make and how much chain you need. Grand Brass Lamp Parts, LLC has served the Retail and Wholesale lamp parts, lighting parts, and chandelier parts industry since 1913 with an on-line catalog of quality oval, ball, jack, & decorative chain in brass and steel, for all types of hanging lamps. Grand Brass Lamp Parts, LLC also stocks lamp cord sets, including SPT and SVT sets as well as TWISTED FABRIC COVERED LAMP WIRE POWER CORDS.